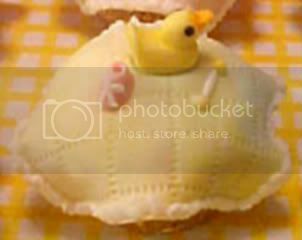 The 2008 Miss American Cupcake Contest – Closed! By GreenEyedLillies on July 16th, 2008 . Filed under: Contests . 201 Responses to The 2008 Miss American Cupcake Contest – Closed! Good luck to all of you …. 3. )FL- Lime Cupcakes- While this isn’t the most original, it still looks delicious, the combo of lime and mango mesh well, and the flavors are ones that represent the state of Florida well. I loved seeing the desserts that reflected their states. Great job, everyone!! 1: FL- Lime Cupcakes with Mango YUM! Book my Trip to Miami!!! 1. 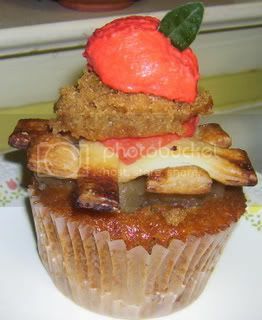 Creativity- GA – Apple Pie Cupcakes with apple compote, lattice crusts, and buttercream apples. 1. I think this one does a great job of representing its country. Apple Pie is a classic American dessert, and this apple pie cupcake is extremely unique, just like America! 2. Lime cupcakes definitely represent Florida well! 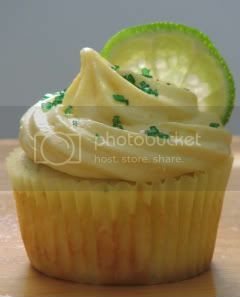 This one has me wanting to make a batch of lime cupcakes myself, as Ive never tried them, but looovvvee lime flavor. 3. Strawberries are definitely a California thing, and these babycakes are just too cute! 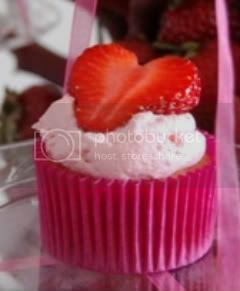 The strawberry on top being heart shaped just added to the charm. Georgia Apple Pie- because it looks the tastiest. Florida Lime with Mango- because it represents its state the best. Illinois Cornbread with Mac&Cheese- because it is the most creative with flavors. Best one here by far. Clean, simple, excellent combination and cupcakes taste better in Miami anyway! PB&G-AL. I’m a man and I’m down with Guiness! Congrats to all contestants, everything looks so delish! FL- Lime Mango For sure this cupcake best represents the state especially south florida. All locals know how much we love and like mangos and we are known for being citrus growers hence the perfect combination for true Florida state representation and taste!!! Peanut butter and Guinness???? What could be better. They all look sooo good! # Yum factor – Texas you want to reach for it right off the page yummy! This was just too much fun~ thanks! 3. IL – Frango Mint Chocolate Cupcakes with Vanilla Buttercream Frosting Sprinkled with Crushed Oreos. LA- Gateaux de Sirop. How appropriate for Louisana. Zap it in the Micro wave and then top it with ice cream and the would be the complete package. Mango, Mango and lime, Florida’s favorite. Scruptious and very bautiful. PB&G from Alabama…..the home of Peanut Butter and George Washington Carver!!!! 1. IL – Mac and Cheese cupcakes! Anyone who says apple pie is more American than Mac and Cheese is either lying or from another country. They look super tasty to boot! These are the most American ones…I thought…. Great Combination, all american and very Midwestern! All 3 of my votes go to IL-Mac&Cheese cupcake, as none others compare. I narrowed it down to five kind of easily but cutting it to three was TOUGH! 3)New York (chai tea latte) …Can someone email me with who entered this if I can order some? Actually , maybe you could later post a list of the places that are available to order from out of these? There a couple of entries (the caramel apple) that I would love to try. I must say I wanted to pick Iowa (cornbread and mac’n’cheese) I REALLY did -it was so original and SCREAMED Iowa but I really couldn’t fathom it TASTING good. It was my number 4 though. And I have to mention (even if it doesn’t count) the IN Sweet Caramel corn cupcake also made my instant top five- it was so pretty and looked delicious! it’s gotta be mac n’ cheese. that there’s american in a cupcake liner. Peanut Butter + Guiness = Crazy Delicious!!! Peanut Butter Guiness …. Just awesome !!! My three votes go to Florida’s Lime and Mango Cupcake! 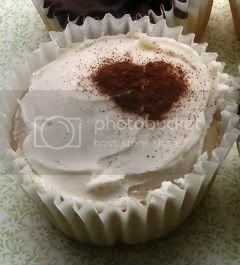 Tata, the FL Lime Cupcakes with Mango Buttercream are my favorite. The taste is absolutely out of this world. I vote three times for FL Lime Cupcakes with Mango Butercream. FL Lime Cupcakes with Mango Buttercream. 1.FL. Lime Cupcakes with Mango Buttercream. A little taste of Florida with Lime/Mango cream. I vote #1 for Illinois, mac n cheese. For its uniqueness,one of a kind, and richness in color. 1) IL Cornbread & Mac & Cheese ! FL- Lime Cupcake w/Mango Buttercream. IL Frango because that’s brilliant. AL – PB&Guinness – Brilliant! who wouldn’t want to try that! 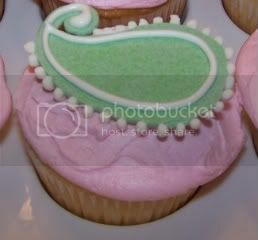 FL – Lime Cupcakes with Mango Buttercream- sounds great and looks beautifull. 3.Key Lime with Mango Cream. Creativity- Most certainly goes to the GA – Apple Pie Cupcakes. Who would of thought of doing this…YOU ARE AMAZING! 1. FL – This looks so Yummy! Florida hits it right on the nose. So refreshing!Yum! Recipe please!!! Illinois’ Mac n’ cheez is number one for me. Dinner + dessert = DELICIOUS. doesn’t look live a cupcake, I loved this one. I loved the apple compote incorporated into this. caramel and looks this good, I’m there. IL – Cornbead and Mac and Cheese!!! I never thought it possible…now I just need to find a Thanksgiving turkey dinner cupcake with cranberry frosting. 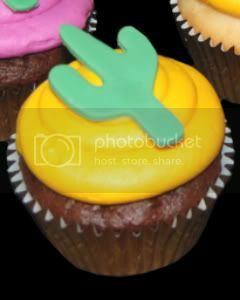 1# Fl.Lime Cupcake w/Mango Buttercream!!! Indiana #1, #2 and #3! 1. Tx- Precious Moments (Lemon cupcake w/ lemon curd filling, buttercream frosting and rolled fondant decorations. I wish we could taste them all before voting. This is hard! Gosh…all of these creations look amazing! The pictures look good — I’m sure they taste good too. Right Bobbie-Jean! This is a re-vote because I previously only voted for one cupcake. They all look so good!!! YUM!!! 1. 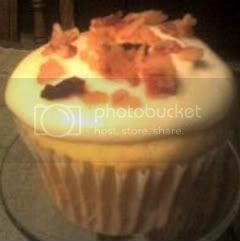 Tx – Maple Bacon !!!!!! Ooooo, I can’t wait for the recipes! Nice selection. IL – Frango Mint Chocolate Cupcakes because I love the color and I love mint! 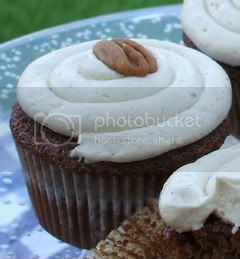 TX – Caramel Apple Cupcake because it reminds me of the State Fair of Texas’ famous caramel apples which are divine! NC – Miss Paisley because it’s so fancy and creative! The PB and G just sounds yummilicious !! IL – Frango Mint Chocolate Cupcakes with Vanilla Buttercream Frosting Sprinkled with Crushed Oreos. 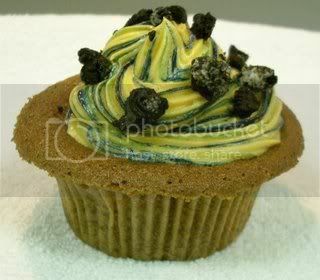 #2: IL – Frango Mint Chocolate Cupcakes with Vanilla Buttercream Frosting Sprinkled with Crushed Oreos. 1. 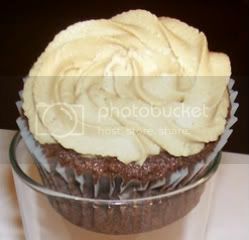 IN – sweet caramel corn cupcake with salted caramel frosting and caramel drizzle. 2. 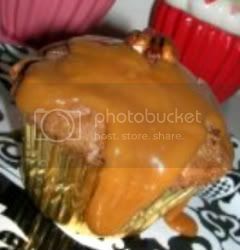 TX – caramel apple with cream cheese filling and caramel topping. 3. FL – lime cupcakes with mango buttercream. FL Lime Cupcakes with Mango Buttercream is my first choice, because it looks delicious and sounds scrumptious. GA Apple Pie Cupcakes with Apple Compote, Lattice Crusts, and Buttercream Apples is my second choice. Tx Caramel apple cupcakes is my third choice. I’m a sucker for new flavors and the underdogs!!! 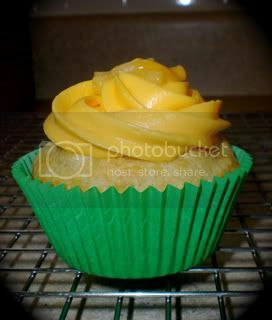 #1 FL – Lime Cupcakes with Mango. Off the chain! They all look SO delicious, though! These are all so yummy! Caramel and apples are a fav or mine, so #1 was easy. I like the “oddness” of the other two. 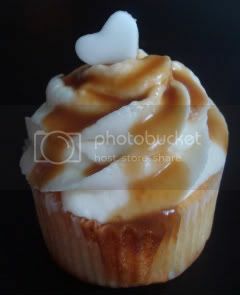 The Caramel Apple Cupcake with Cream Cheese Filling and Caramel Topping, is my first choice. All of these are unique flavors, but the caramel apple with cream cheese and caramel just seems like a yummy combination! FL – Nothing like the local flavors to spice up food – YUM! GA – Apple pie on the run! WA – More apple – can’t go wrong! You probably either need to access whatever it is using an IP addresse in the URL, or change a setting to use your company’s internal DNS when using the VPN. Although, some browers or settings might still try to do a search or assume a domain on the name if there is no dot in the hostname part of a URL, so you may need to include your company domain on the name.